The force is back and it's now up to a new generation of Jedi to carry on the legacy that Luke Skywalker and Princess Leia started more than 40 years ago. The first trailer for "Star Wars: The Rise of Skywalker" debuted at Celebration over the weekend and "GMA" sat down with director J.J. Abrams to break down this highly-anticipated film. In the debut teaser, Daisy Ridley's Rey is officially a Jedi. You also hear Luke, who perished in the last film, telling her "it's your fight now." We assume Luke is a force ghost, but one can never be sure with "Star Wars." Abrams said secrecy will be on an all-time high because of the previous standalone "Star Wars" films that have come in recent years: "We didn't want to get lost in that." "It's kind of better to wait for the right moment," he said of dropping both the trailer and name at Star Wars Celebration this weekend in Chicago to fans' delight. Abrams, who is coming back to the helm after directing "The Force Awakens" four years ago, said he almost didn't sign on board to oversee the last film. A look at the cast of Star Wars: #TheRiseofSkywalker from #StarWarsCelebration Chicago. "I was surprised at how emotional I was about it," he told "GMA." "I didn't know I was going to want to help bring to a close this thing we started with 'Episode VII.'" After thinking about it, "it was just too good of an opportunity to refuse," he added. 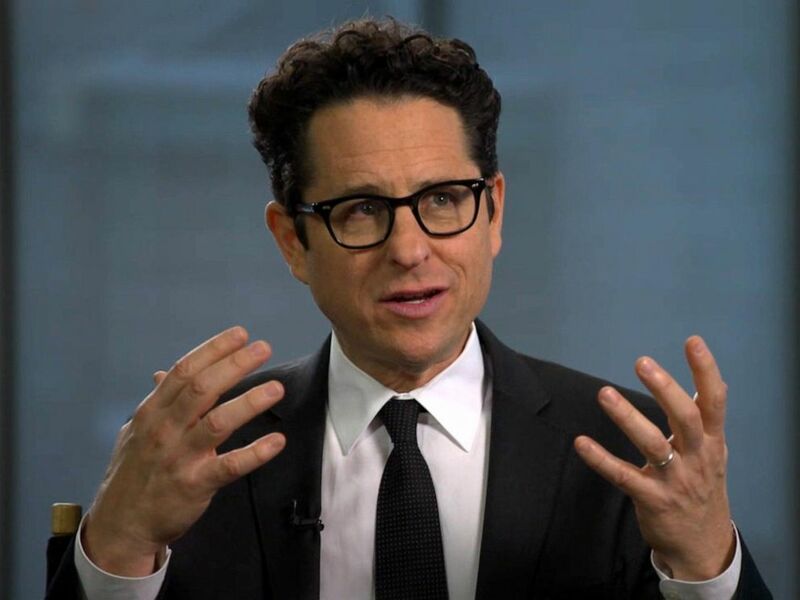 Director J.J. Abrams talks about "Star Wars: The Rise of Skywalker" on "Good Morning America," April 15, 2019. A big topic of discussion is Carrie Fisher's final appearance as Leia, using footage never seen from "The Force Awakens." She died suddenly in 2016 after having filmed "The Last Jedi." "We realized, we could not tell the story without her," Abrams said. "There had been a number of scenes, we filmed and had not used for 'Episode VII.' I compiled the footage and watched it. It was like finding this impossible answer to this impossible question." He continued, "So when she's in the movie it's her," not CGI, which the director has said was never an option. Lucasfilm President Kathleen Kennedy also spoke to "GMA" and called "The Rise of Skywalker" the "epitome of good versus evil." "There's a lot of conflict in this movie, but I think where it goes and the resolution is very hopeful," she added. "I think it will absolutely live up to the hype." ABC News and Lucasfilm are both part of parent company Disney.